Neutral sepia and deep greens along with a beautifully tranquil North woods scene set off your favorite photos. Antiqued metal pine cones and branches add an appealing 3-dimensional effect. 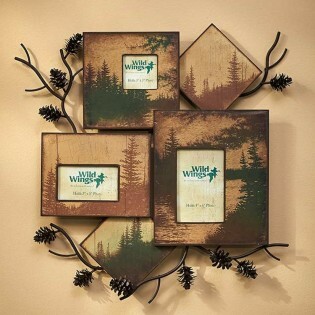 to this Pinecone Wall Collage Picture Frame.